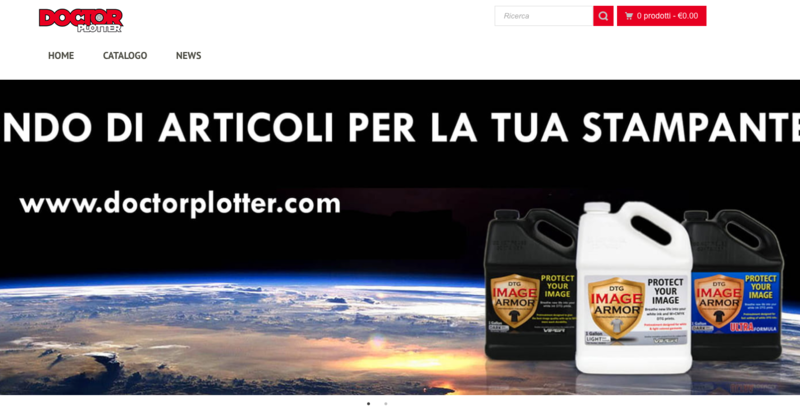 Image Armor is proud to announce that we have additional distribution in Italy for the Image Armor product line. 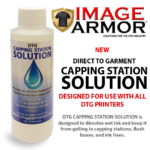 DoctorPlotter.com now carries the full line of Image Armor pretreatment solutions and inks. 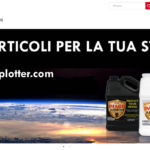 Located in Giaveno Italy, DoctorPlotter.com carries a wide array of direct to garment supplies. Our new distributor carries the Image Armor F-Series inks for the Epson F-2000/2100 DTG printers as well as the B-Series inks for the Brother GT3 series of injet printers. They also sell a variety of addition products such as heat presses, print heads, maintenance stations, plotters, printers and more. Additional information can be found at www.doctorplotter.com or by emailing them at shop@doctorplotter.com. Now, you can use our pretreatments with more peace of mind knowing we are in line with some of the strictest compliance regulations in the United States. We are completely Lead and Phthalate free resulting in our compliance with Proposition 65. DTG with the best, and one of the only few truly compliant and tested pretreatments available specifically for direct to garment printing. For further questions please feel free to contact us. If you need the Letter of Compliance for your records you can download it here. What's in your pretreat? We know. We've Tested It. 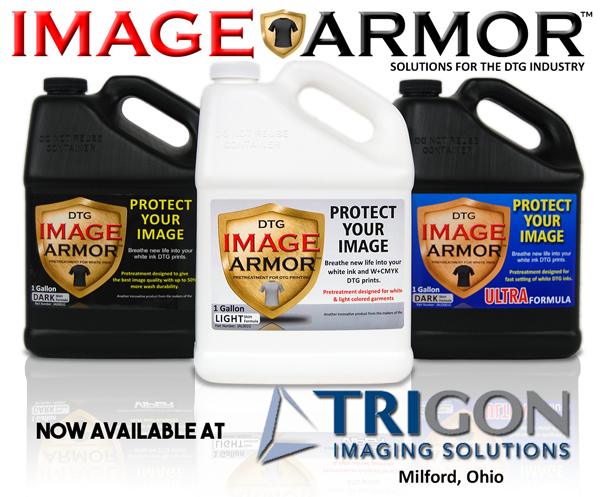 Image Armor is proud to announce that Axiom America is one of our newest DTG pretreatment dealers. Axiom America has offices in High Point, North Carolina as well as Irwindale, California. 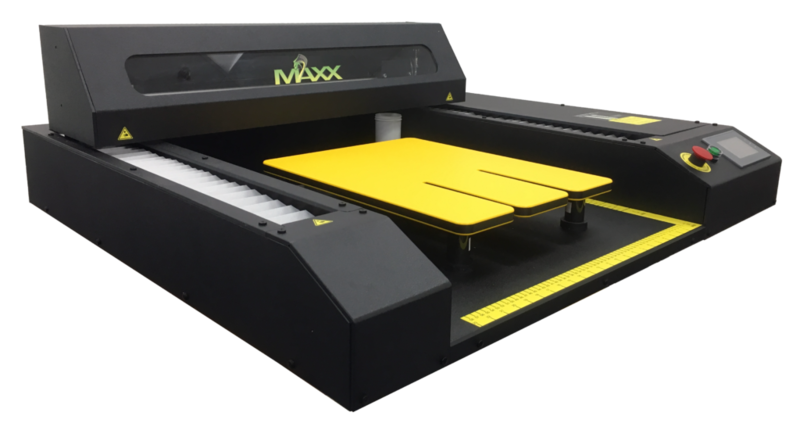 They sell the Brother GTX direct to garment printers as well as embroidery, sublimation printers, lasers, other supplies garment decorating supplies and equipment. Started in 2004, Axiom has been a nationwide leader in decoration technologies that help companies seize the opportunities of tomorrow by combining best of breed products with unparalleled technical support and manufacturing consulting. 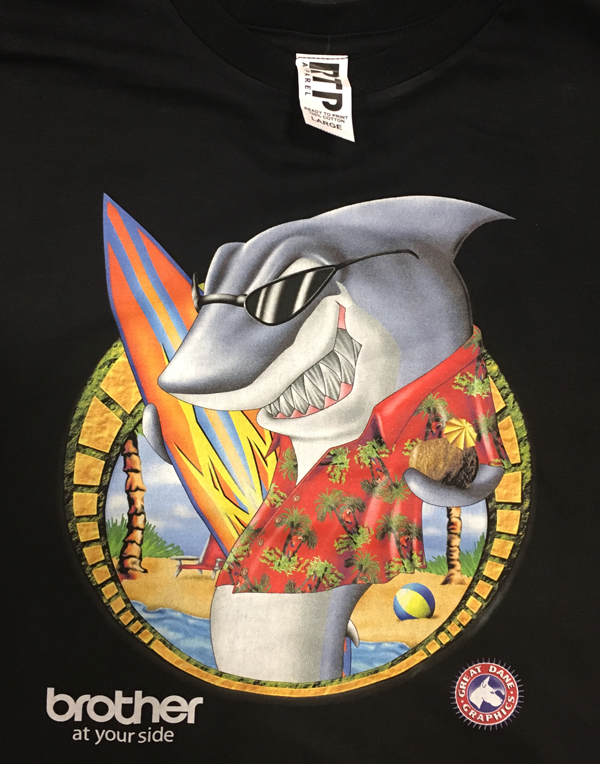 They are highly involved in the sublimation and Direct To Garment printing industry and Image Armor is excited to have the entire Axiom team covering the Mid-Atlantic and Eastern Los Angeles area. Axiom America can be contacted at their North Carolina office in High Point at (336) 882-8729 or at the California Irwindale office at 800-697-6523 or locally at (336) 882-8983. 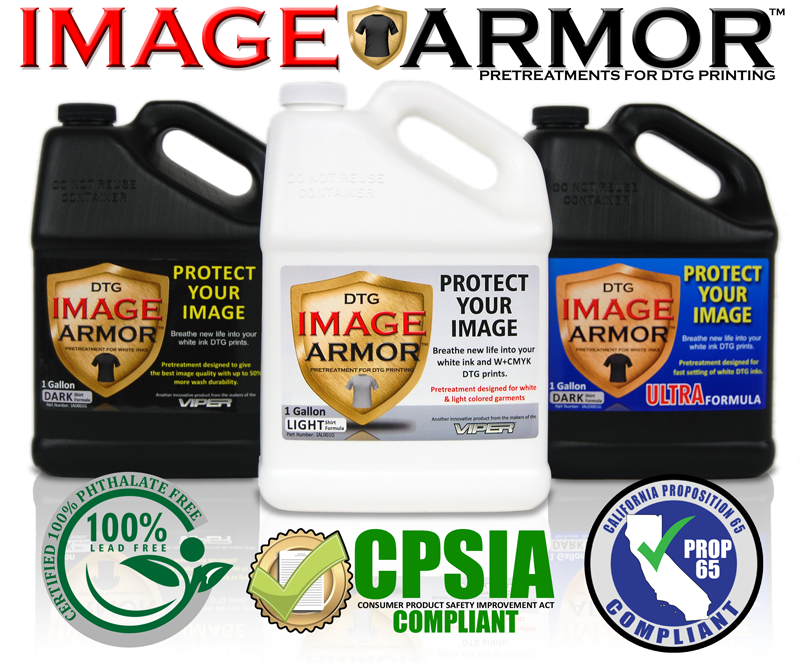 The Image Armor products are available on their website at www.axiomamerica.com. 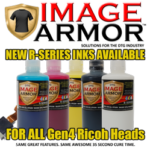 Image Armor is proud to announce that GarmentInks.ru located in Moscow, Russia is now carrying the entire line of Image Armor pretreatments as well as the E-Series inks for Epson repurposed printers. 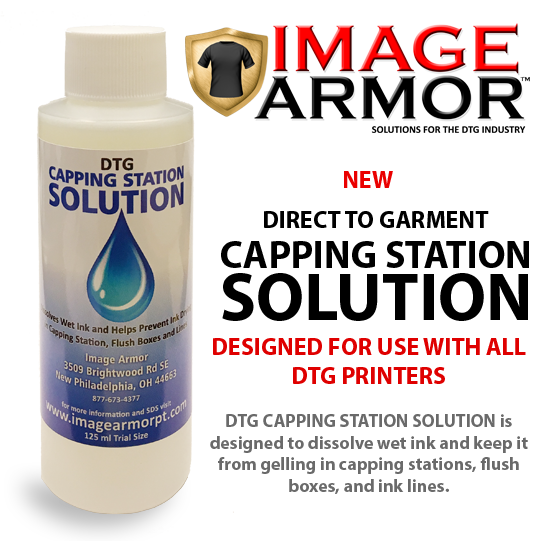 Now DTG printers located throughout Russia can utilize Garmentinks.ru to purchase the direct to garment industry’s best and fastest curing white DTG ink on the market. 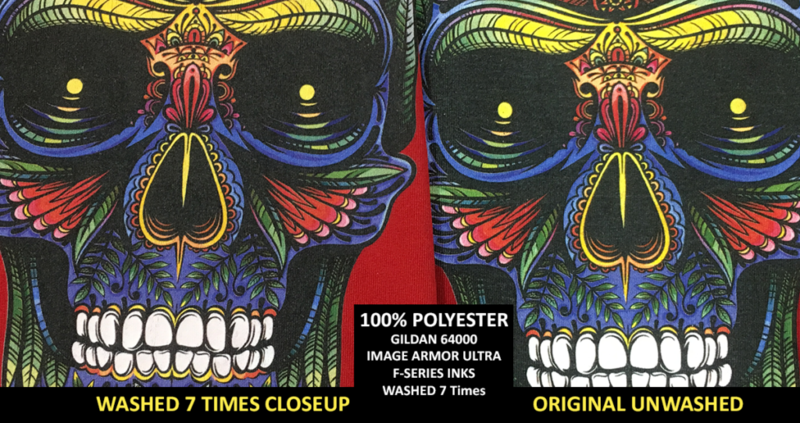 Any DTG printer with a DX5 or DX7 printhead can gain the benefits of increased wash durability and a 35 second white ink cure time with the Image Armor E-Series inks. 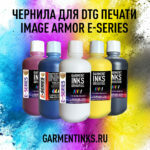 Garmentinks.ru is also carrying the full line of Image Armor pretreatments. 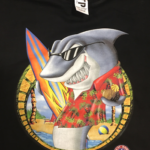 The LIGHT Shirt Formula is designed mainly for CMYK printing on white and light colored 100% cotton, blends and 100% polyester fabrics which increases wash durability, reduces dot gain which increases vibrancy and detail. So printing CMYK on 100% polyester is no longer an issue and results in prints that look and wash like sublimation but all from your DTG printer! The DARK Shirt Formula and ULTRA Shirt Formulas are designed for white ink printing on mid to dark colored shirts. 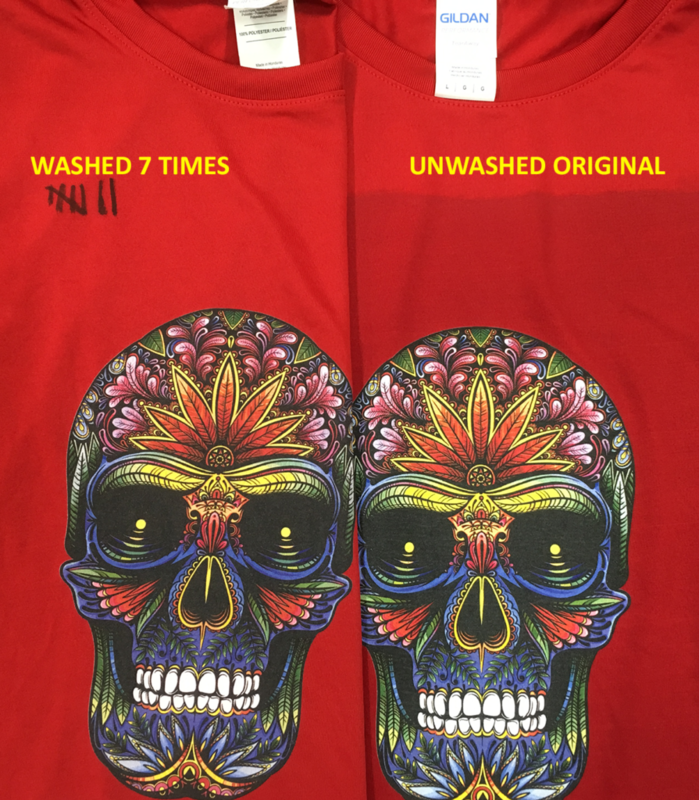 Both formulations increase the wash durability and make DTG printing easier with a wider application window and giving increased print sharpness. 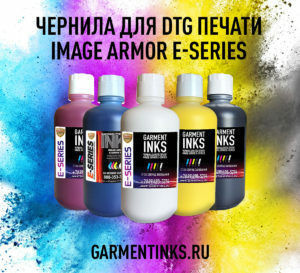 Garmentinks.ru can be found at their website or by calling +7 (499) 490-5274 or dropping them an email at sales@garmentinks.ru. The May 19th Podcast of 2Regular Guys interview was conducted with Brian Walker where Image Armor, RTP Apparel, and the Direct To Garment industry in general and the true story of how Brian got his start in the industry (and it really is true). 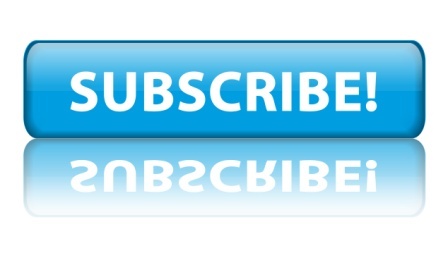 You can click play button below to listen to this interesting conversation and gain a little insight into where we are planning on taking the DTG industry. A special thank you goes out to Terry and Aaron for doing the interview and for their efforts to continually educate those in the decorating industry. 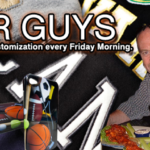 Click the PLAY button below to listen to the entire 2 Regular Guys podcast. With the arrival of 2017 the world seems to be in turmoil. Economic uncertainty. Wars. Environmental change. Droughts. There is always something that can affect your life. 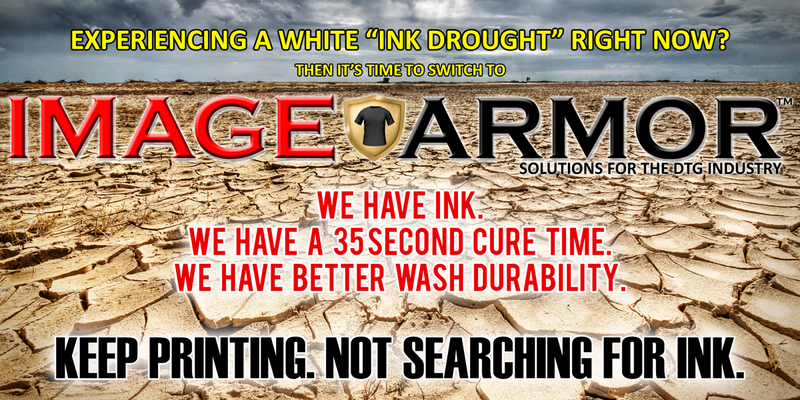 Don’t let an “Ink Drought” affect your business. 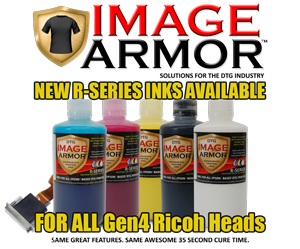 Image Armor is the answer to any ink shortages you might be experiencing. Let 2017 be the year that you change the future of your DTG business. 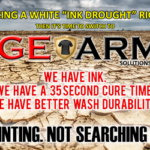 We have the inks in stock at our distributors and we have benefits that will help change your business for the better this year. You can not afford for your business to run short on inks. Inks are the lifeblood of DTG. 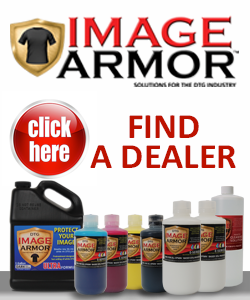 Image Armor realizes that if you are successful we will be successful. 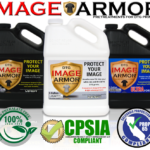 Call an Image Armor distributor today to make the switch to greener pastures in 2017! 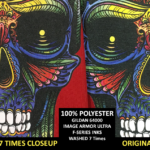 RTP Apparel is the DTG industry’s most innovative new product in years. No pretreating is required to be successful in the direct to garment printing industry. No mess or guessing how much pretreatment to apply to the T-Shirt. No more unwanted pretreatment boxes due to poor dye reactions or poor whites due to under treated shirts. Simply Pick, Print, and Cure. This video above was filmed at the 2016 Ft Worth ISS. The RTP shirt printed incredibly well with great white lay down. In addition the coverage and colors were intense. All this was achieved with no pretreating. This design was printed on a Brother GT-381 with their standard show .arp file. The RTP Apparel shirts are designed to simply by pulled from the box, heat pressed for 10-15 seconds to get any moisture out of the garment, and then go directly to the DTG printer and printed. The shirts will be launching in November with samples available for purchase. Early signups will be able to start purchasing in November and our official launch will be at the 2017 ISS Long Beach show in January. If you have interest in RTP Apparel it is highly suggested you visit www.rtpapparel.com to sign up and get on our list to be able to purchase these market disruptive DTG shirts. For more information visit www.rtpapparel.com.